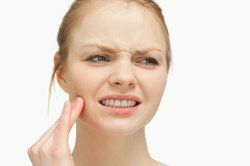 As much as some patients may dread the idea of oral surgery, it may become necessary at some point to improve the health of the teeth or gums or restore strength and function to the mouth. Surgery is also necessary when dental implants are placed to treat tooth loss. The good news is that most patients find that oral surgery is much easier and more comfortable than expected. The recovery period, too, for our Wilmington patients undergoing oral surgery is typically smooth and uncomplicated. At Smile Solutions by Emmi Dental Associates, we provide our patients with post-surgical care instructions and tips to ensure that recovery is as easy and comfortable as possible for our patients. Recovery is an important part of the oral surgery process. It is only with proper healing that any oral surgery procedure will be successful. In addition to ensuring that the surgery is a success, it is also very important to us that patients remain as comfortable as possible throughout the healing period. By adhering to the following dos and don’ts of recovery, patients can ensure comfort throughout recovery while promoting proper healing and the success of treatment. Patients should be prepared to take it easy in the first few days after oral surgery. Allow for plenty of rest so that the body has time to heal and recover. When resting or sleeping during the first few days of recovery, keep the head propped slightly. This can prevent excessive bleeding or swelling in the mouth. Swelling can be managed by applying ice packs to the face in 15-minute increments. Use any pain and/or antibiotic medication as prescribed to manage discomfort and prevent infection. After bleeding has subsided, begin a balanced meal plan, rich in nutrients and vitamins. During the first few days, it is best to maintain a liquid diet or a diet of soft foods. This may include juices, applesauce, broth, yogurt, mashed potatoes, etc. Keep the mouth clean. When our dentist has cleared rinsing and spitting, a saltwater rinse or antibacterial mouthwash should be used up to four times a day. Careful brushing and flossing should also begin as soon as our dentist advises. Keeping the mouth clean is important in preventing the buildup of harmful bacteria. Don’t smoke or drink alcohol during recovery. Both of these habits can impede the healing process. Don’t overexert yourself. Bending, lifting, and strenuous activities should be avoided for the first week after surgery. Don’t consume hard or sticky foods or foods, such as popcorn, that can get stuck in the teeth. These types of foods should be avoided for around six weeks after surgery. Don’t avoid signs of complication. It is unlikely for complications to occur, but if uncontrollable pain, excessive bleeding, or fever is experienced, our dentists should be contacted as soon as possible. At Smile Solutions by Emmi Dental Associates, your oral health and satisfaction are extremely important to us. We work hard to help patients achieve the smile they desire. Contact us to discuss your dental needs and aesthetic goals with Dr. Emmi. We look forward to working with you toward achieving that ideal smile.